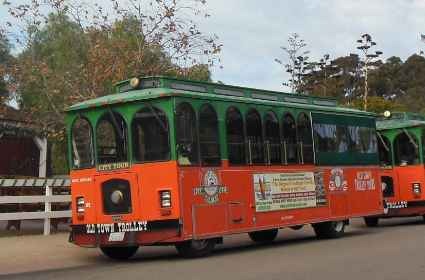 Take the Old Town Trolley San Diego and visit historic Old Town. There are several ways to get to Old Town. You can drive there of course, and parking is free. You can take the San Diego Trolley or the Coaster train for just a few dollars, or enjoy a guided sightseeing tour on the Old Town San Diego Trolley. Might we suggest a ride on the Old Town Trolley San Diego to venture out and explore this quaint yet “robust with history town”? This is a fully narrated 2-hour tour of the major attractions in San Diego and promises to delight all. You may hop on or off the tour bus at any of the following locations and explore the area before you hop back on the next bus. In Old Town, the Old Town Trolley San Diego stop is located at 4010 Twiggs Street (at San Diego Ave.), San Diego, CA 92110 with a phone number of (619) 298-8687. Hours of operation are Monday – Sunday 9:00 to 6:00. 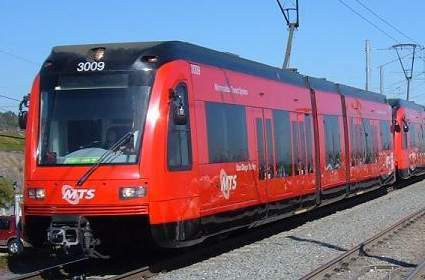 There are several good public transportation choices to San Diego CA Old Town. Be sure to check the train schedules to plan plenty of time for your visit and to get back home or to your hotel. Old Town San Diego Address: Old Town State Historic Park is located at 4002 Wallace St., San Diego, CA, 92110. Old Town SHP is located on San Diego Avenue and Twiggs Street in San Diego, and is conveniently adjacent to the Old Town Transit Center, with Coaster, Trolley, and MTS Bus service. Google Map To see the Old Town San Diego map, click on the link below to open up google maps. This San Diego map includes other top San Diego attractions too.